Headphones a little off? 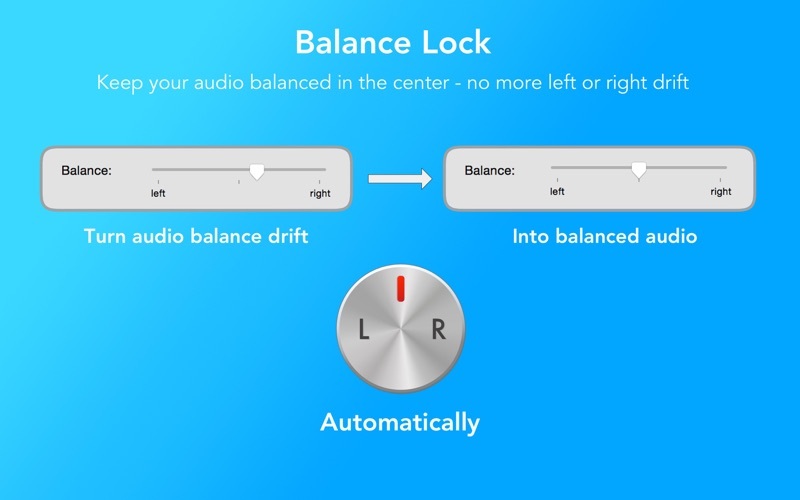 Noticing your audio isn't quite centred? 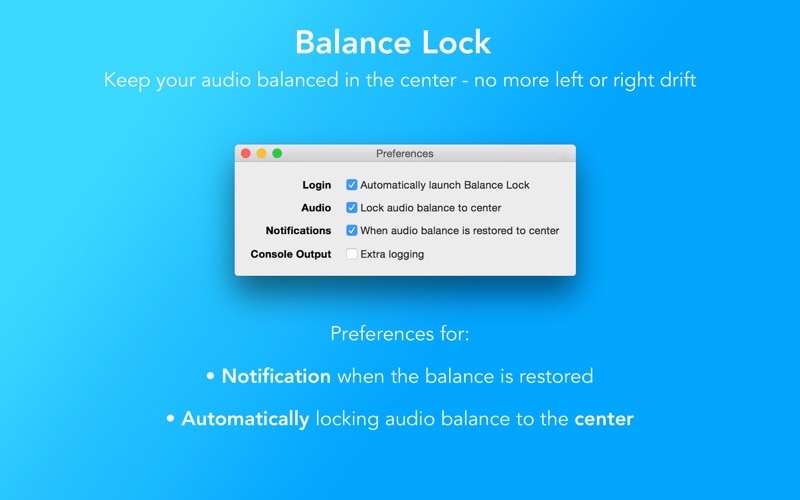 Balance Lock will keep your audio centred and fix the annoying left/right drift bug. 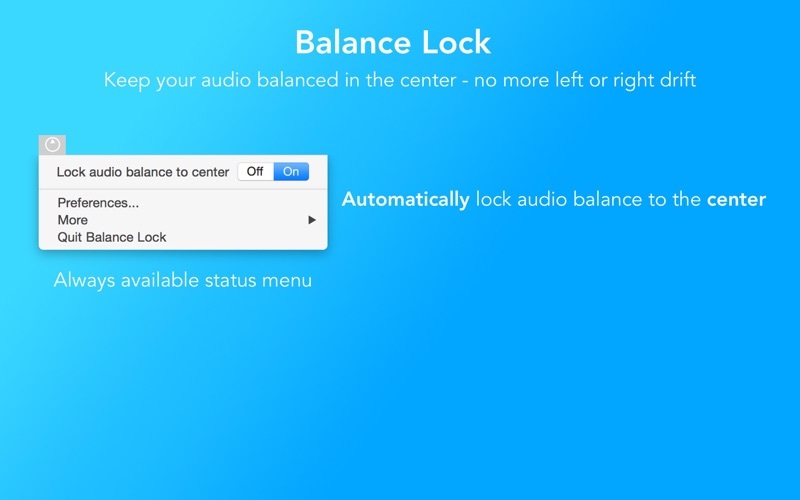 It's the perfect utility for making sure when plugging and unplugging headphones that the audio stays centred. It's simple to use and runs in the background un-intrusively. If you like it, please consider leaving a nice review, it really helps!